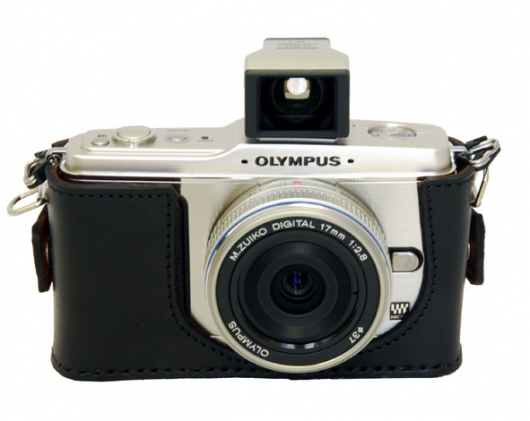 We are pleased to announce an addition of a Olympus E-P1 version to our popular range of hand-made leather camera cases. The Olympus E-P1 Digital Pen is one of the most stylish digital cameras we have seen in years. 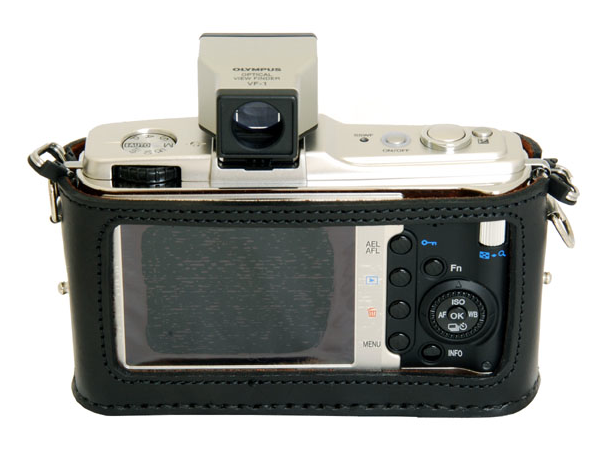 A quality camera case will make it even more presentable and also protect this valuable camera from external knocks while at the same time be smooth in the hands when using it. 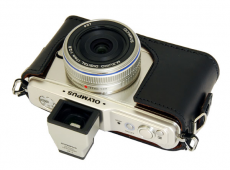 A detachable back cover protecting the LCD display is available as an option. These camera cases handmade by an artisan, one by one, in the old center of Tokyo. Their quality and feel are extraordinary; “Perfume of REAL leather, high quality finish and stitching” writes one satisfied customer. 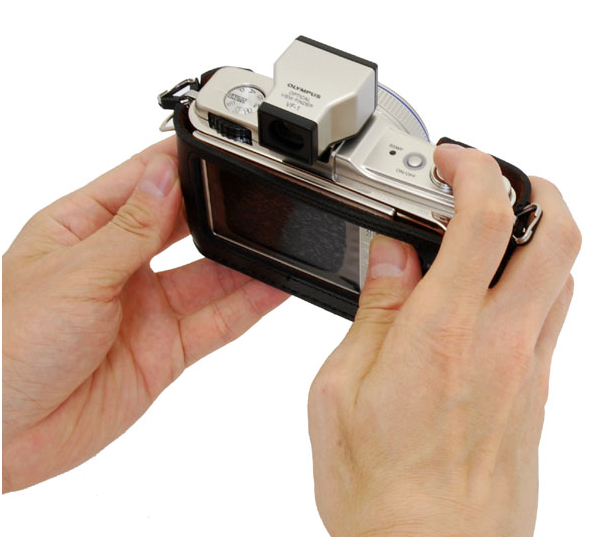 A unique feature of this case is that the strap attached to the case, not to the camera as with most other cases. This case effectively cradles your E-P1 safely and gently. It deserves it. 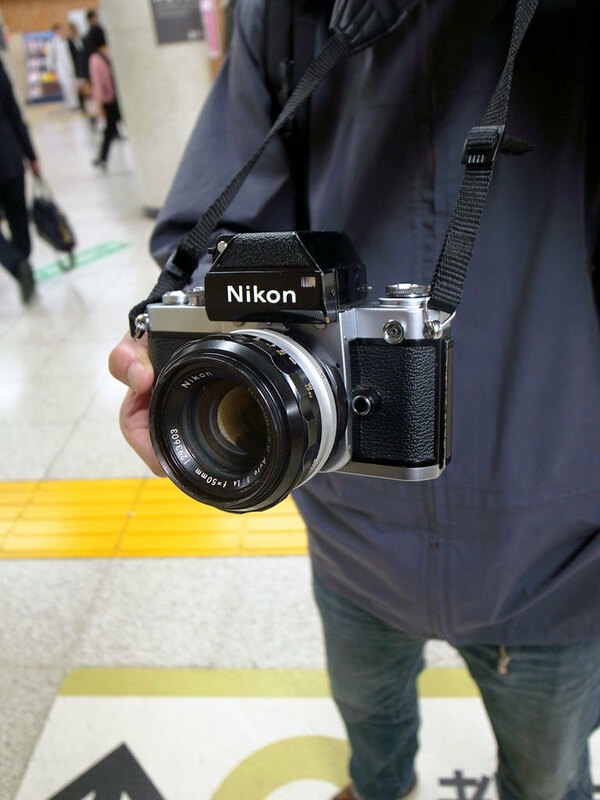 Yes, there are cheaper cases out there, but not at this level of quality. 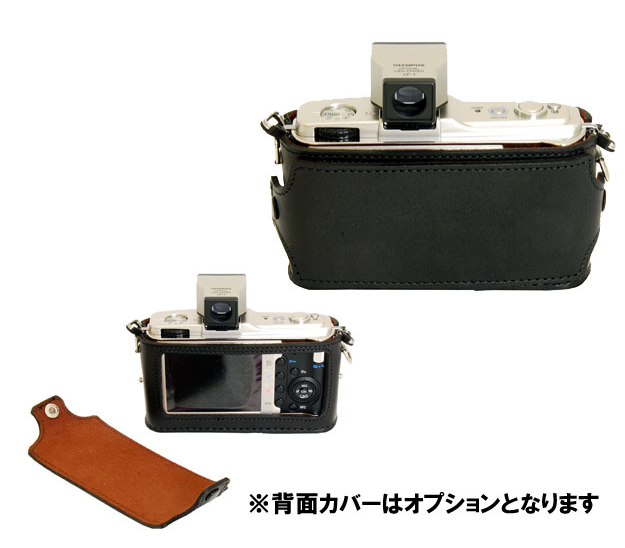 Even Olympus’ own mass-manufactured case and strap will cost almost what this high-quality hand-made case does.